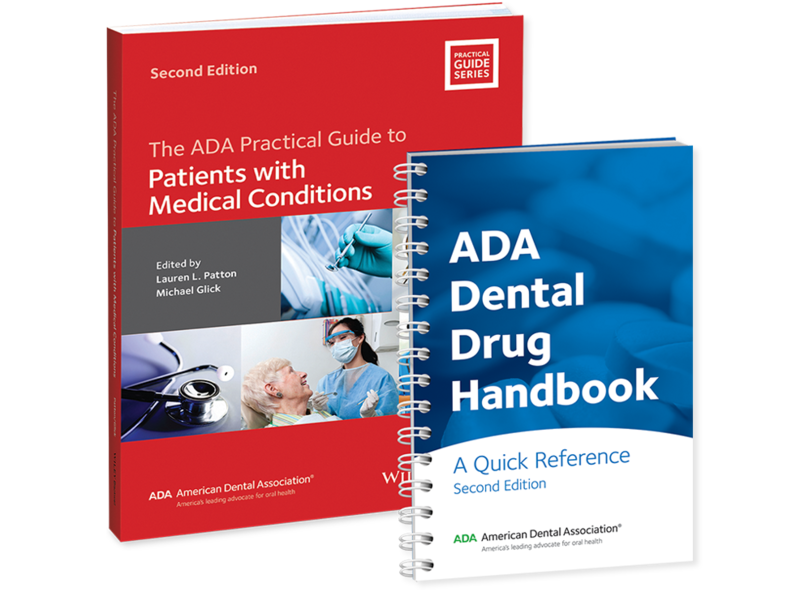 Educate yourself on the necessary precautions when treating patients with complex medical needs with The ADA Practical Guide to Patients with Medical Conditions and The ADA Dental Drug Handbook . This kit provides a comprehensive overview of common medical conditions, as well as a tool to help avoid drug interactions and contraindications. Provide the best care for your most complicated cases. The ADA Dental Drug Handbook contains the latest information from dental pharmacology’s leading experts. It covers the drugs most commonly used in the dental practice, with information about dosage, possible interactions, potential complications and more. Patients with Medical Conditions updates all the protocols and guidelines for treatment and medications and adds more information to aid with patient medical assessments. The book clearly organizes individual conditions under three headings: background, medical management, and dental management.